Radon is a carcinogenic gas that is hazardous to inhale. A build-up of radon in Charlotte homes is a health concern and many lung cancer cases are attributed to radon exposure each year. About 12 percent of lung cancers and more than 20,000 Americans die of radon-related lung cancer each year. The Surgeon General of the United States has issued a Health Advisory warning Americans about the health risk from exposure to radon in indoor air. Dr. Carmona, the Nation’s Chief Physician urged Americans to test their homes to find out how much radon they might be breathing. He also stressed the need to remedy the problem as soon as possible. When Should You Get a Radon Test? Testing is the only way to find out your home’s radon levels. EPA and the Surgeon General recommend testing all homes below the third floor for radon. If you find that you have high radon levels, there are ways to fix a radon problem. Even very high levels can be reduced to acceptable levels. 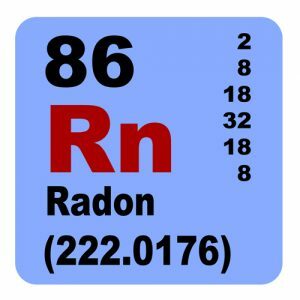 Radon has been found in homes all over the United States. It comes from the natural breakdown of uranium in soil, rock, and water and gets into the air you breathe. Radon typically moves up through the ground to the air above and into your home through cracks and other holes in the foundation. Radon can also enter your home through well water. Your home can trap radon inside. The test should include methods to prevent or detect interference with testing conditions or with the testing device itself. If your Charlotte home has not yet been tested for Radon have a test taken as soon as possible. If you can, test your home before putting it on the market. You should test in the lowest level of the home which is suitable for occupancy. This means testing in the lowest level that you currently live in or a lower level not currently used, but which a buyer could use for living space without renovations. The radon test result is important information about your home’s radon level. Some states require radon measurement testers to follow a specific testing protocol. If you do the test yourself, you should carefully follow the testing protocol for your area or EPA’s Radon Testing Checklist. If you hire a radon test contractor to test your residence, protect yourself by hiring a qualified individual or company. What Are the Qualifications of a Radon Test Contractor? Many states require radon professionals to be licensed, certified, or registered. Most states can provide you with a list of knowledgeable radon test service providers doing business in the state. In states that don’t regulate radon services, ask the contractor if they hold a professional proficiency or certification credential. Such programs usually provide members with a photo-ID card, which indicates their qualification(s) and its expiration date. If in doubt, you should check with their credentialing organization. Alternatively, ask the contractor if they’ve successfully completed formal training appropriate for testing or mitigation, e.g., a course in radon measurement or radon mitigation. FACT: Although some scientists dispute the precise number of deaths due to radon, all the major health organizations (like the Centers for Disease Control and Prevention, the American Lung Association, and the American Medical Association) agree with estimates that radon causes thousands of preventable lung cancer deaths every year. This is especially true among smokers, since the risk to smokers is much greater than to non-smokers. 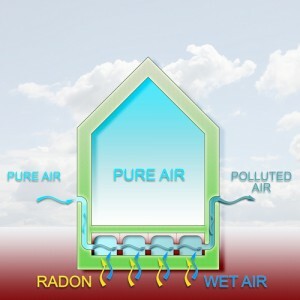 MYTH: A neighbor’s radon test result is a good indication of whether your home has a problem.